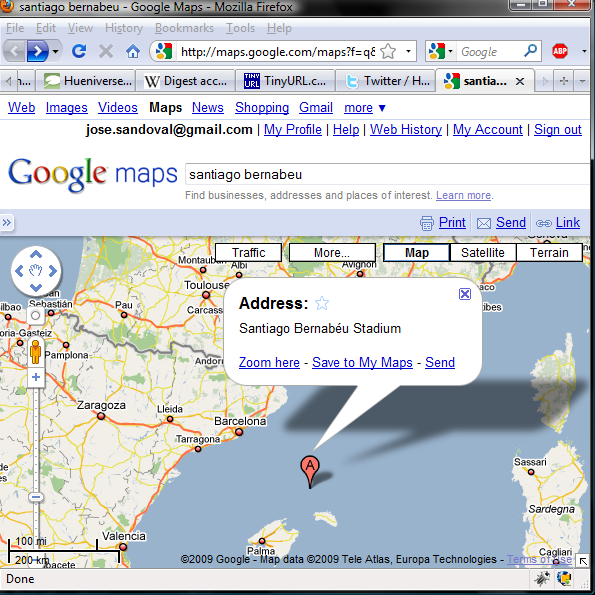 Google maps may need a bit of a recalibration: a soccer stadium in the middle of the ocean? Sometimes google maps is not as accurate as it could be. Of course, the application's results are not used for mission critical application that require 100% accuracy, so we forgive it when it returns funny results. A bit off, don't you think? Should Usain Bolt just run by himself? 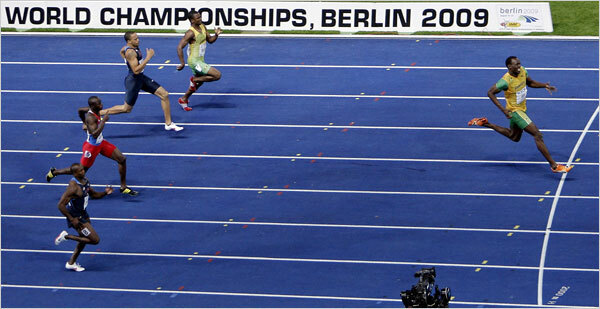 By the looks of his new world record (200m in 19.19 seconds), Bolt should just run against the clock. Not one of other competitors was even close to him: his lead was 6m. In a 200m race, that may as well be the entire 200m. 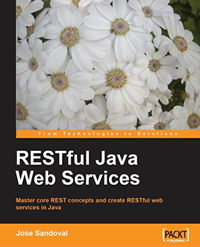 The Restlet framework does not only offer a server stack for developing web services, it also offers a client connector library, which can be used to develop clients connecting to RESTful web services or any other web application. Let's just get to the code, because all it takes is 1 line to do the whole thing. If you recall, the Java net package already has code to open connections over the web. Do we need one more HTTP Client library? Sure, why not. On the plus side, this Restlet client library provides some extras that make RESTful client development easier. For example, the ClientResource class includes methods for the other HTTP request types (POST, PUT, DELETE). Having these methods already understand REST means that we can pass representations back and forth without manually setting HTTP headers for automatic content negotiation. Mind you that it's not hard to open an HTTP connection, send a request, and consume its response; however, if everything is already wrapped conveniently into a few methods, why go through the pain of adding more code when we can do everything with 1 statement? I remember reading somewhere that the fastest time a man could ever run the 100m dash was 9.60 seconds. The claim was that physiology would get in the way. Apparently, Bolt didn't get the memo. Usain Bolt has to be one of the greatest athletes in history. People in the know claim that we may never see the likes of him again. I'm not sure about that, as someone's future goal will be to break his record and train and train until the goal is accomplished; however, as of today, there's no one like him. I just saw Bolt's 100m qualifying race, and it's incredible how he puts the breaks half way through, looks around, and jogs for the last 20 meters of the race, laughing and having a good time.